Stripping pads remove all finish, sealer and contaminants from the floor surface. Use at the start of a maintenance program and at times when scrubbing will not achieve the desired result. 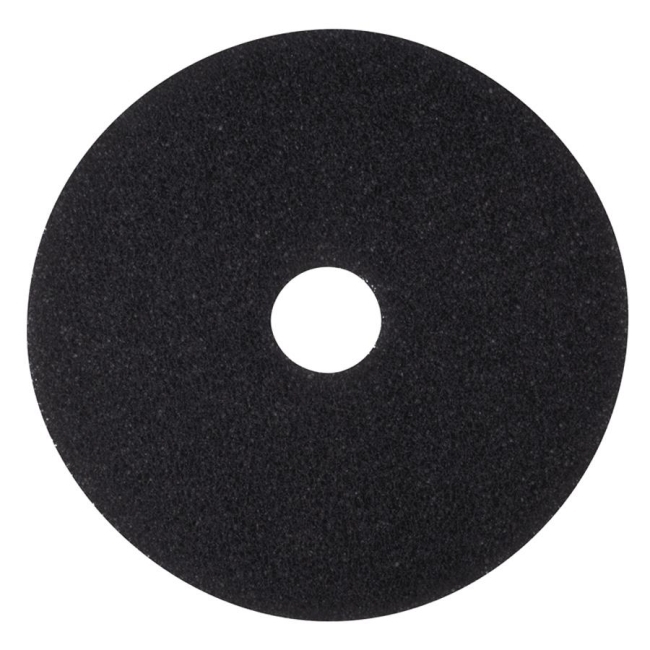 Stripping pads are designed for use in rotary or automatic equipment on low speeds from 175 to 600 RPM. Use for heavy finish buildup, quick stripping and stain removal. Stripping pads quickly and thoroughly remove old finish, dirt and buildup. Unique, open web construction-stripping solution flows through the pad to rinse out dirt and reduce loading for increased pad-to-floor contact.